Whether you have a family or spend a lot of time on the road, you want a vehicle that’s going to protect you and your loved ones. Vehicles equipped with Chevy safety features will not only protect you, they’ll do much more. Explore all the ways in which Chevy cars, trucks, and SUVs will give you total peace of mind. Browse the new vehicle inventory at our Chevy dealership in Merrillville, IN to explore the safety features on our available cars, trucks, and SUVs. Be sure to schedule a test drive with your favorite vehicle. With Chevy preventative safety features, you are more likely to avoid a collision entirely. See how the safety features available with many Chevy vehicles can help you stay safe on the road and dodge a possibly life-threatening accident. Should the worst occur, Chevy safety has your back. 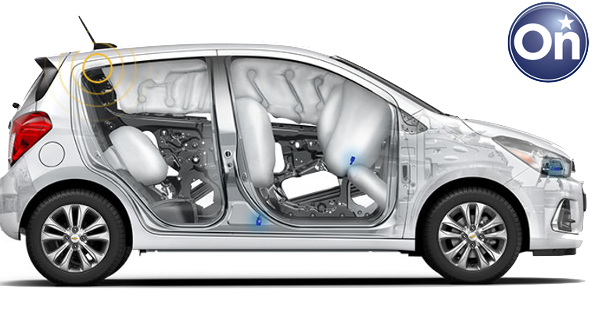 You and your passengers will be encapsulated within the most durable materials and innovated systems for safety when you need it most. If you happen to find yourself in the aftermath of a collision, you’ll need immediate help. Chevy vehicles equipped with OnStar® with Automatic Crash Response use built-in sensors to alert an OnStar® Advisor who connects with you to see if you need help. An OnStar® Advisor will send help even if you don’t respond by using GPS technology. See the Latest Chevy Safety Technology at Mike Anderson Chevy! For more information on Chevy safety features, send our Chevrolet dealership in Merrillville, IN a message online or call 219-947-4151 to speak with a team member directly.